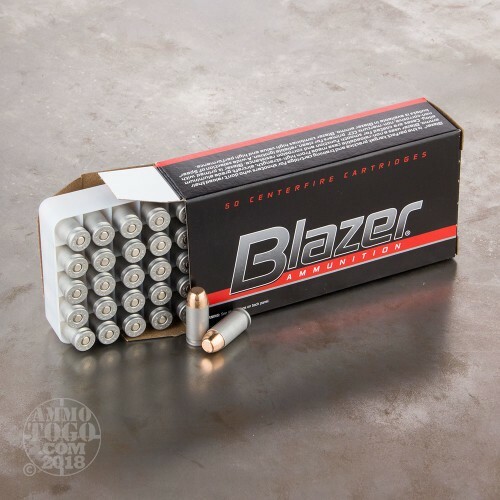 This 40 S&W cartridge by Blazer features an aluminum casing. The aircraft grade aluminum casing is strong enough to endure intense chamber pressures because it has been heat treated, and because aluminum is significantly less expensive to produce than brass you’ll notice that this round has an appealing price tag. Aluminum is lighter than brass as well, a trait you’ll appreciate while you heft 1,000 of these rounds. Note that aluminum is like steel in that it won’t give you any value at your reloading press, and it’s also frowned upon by some indoor ranges because it’s nonmagnetic and contaminates the scrap they like selling at the end of the day. 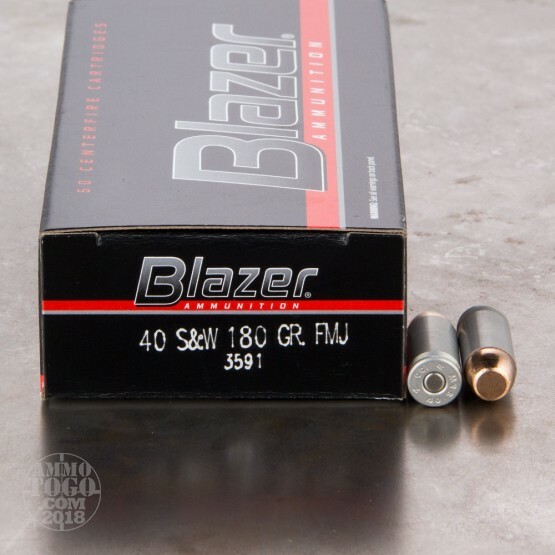 This round is capped with a 180 grain projectile, a relatively heavy bullet for its caliber. 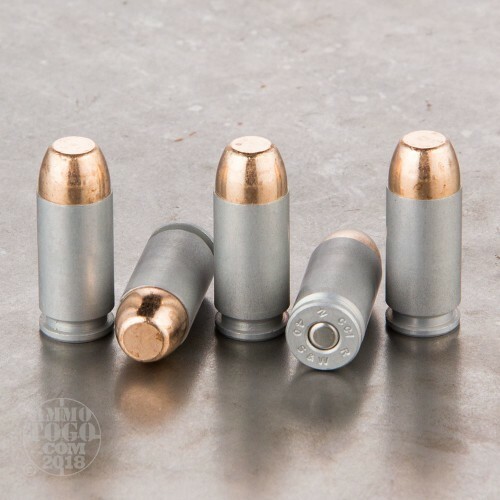 The bullet’s full metal jacket disposes it perfectly for range training, as it’s both cost-effective and prevents ugly lead fouling within a weapon’s bore. 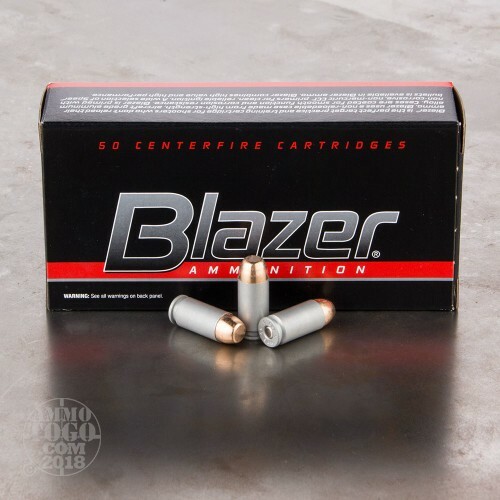 This round’s sensitive CCI primer assures a shot with every trigger pull, and is non-corrosive so it’ll be ready to go when you are. Fed flawlessly through my carbine and I was able to get on target at 100 yards in a 10-20 mph wind. I intend to use this in an upcoming IDPA classifier in PCC class.